Dan Mulvihill acquired expertise in cell cycle and cytoskeleton research during his PhD (co-supervised by Profs Iain Hagan and David Glover FRS) and subsequent postdoctoral position in the lab of Prof. Jerry Hyams, where he used fission yeast to study the function of the actin associated motor proteins, myosins. In 2003 he was awarded a BBSRC David Phillips Fellowship and established his own group at the University of Kent to continue research on these conserved molecular motor proteins. In 2012 he was awarded a 4-year Royal Society Industry fellowship to work with Cairn Research Ltd to develop rapid multi-dimensionlive cell imaging systems. Researchers within his lab are investigating the regulation and function of the actomyosin cytoskeleton in eukaryotes. To do this they use a variety of cross discipline approaches to elucidate how differences in the kinetic and physical properties of the actomyosin cytoskeleton, relate to its cellular properties to uncover cellular functions. 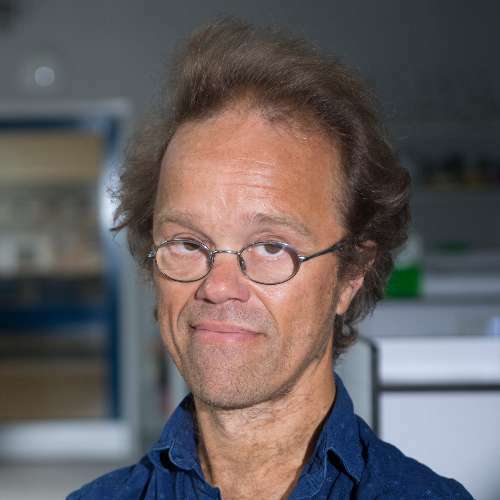 Recent studies include discovering a novel regulatory mechanisms by which formin nucleation affects recruitment of tropomyosin (an actin regulator) and subsequently modulates myosin activity, as well as exploring how cell cycle and stress dependent phosphoregulation affects the motor activity and function of myosin motors. Dan is a member of the Cell Biology, Cancer Targets and Therapies Group and the Kent Fungal Group. 1999-2003 Postdoctoral Research Fellow Dept of Biology, UCL, London. 2003 Postdoctoral Research Fellow, Max Planck Institute, Heidelberg. 2003-2008 BBSRC David Phillips Research Fellow, University of Kent. Intracellular movement is a fundamental property of all cell types, with many organelles and molecules being actively transported throughout the cytoplasm by molecular motors. This lab's research focuses upon the study of the function of actin based motors (or myosins) in the fission yeast, Schizosaccharomyces pombe. This is a cylindrical unicellular fungi, which grows exclusively at its actin rich cell poles. The cell's polarised growth is regulated by the "polarisome" – a group of proteins which move upon polymerising microtubules to the cell tips, where they are deposited and affect the function of actin cytoskeleton regulators to promote polarized cell growth. While actin patch structures are seen to concentrate at growing poles of the cell, actin filaments extend throughout the cytoplasm, providing a track on which myosins can travel. Using a comprehensive repertoire of cross-disciplinary techniques this lab explores how myosins move upon these actin filaments and function within the cell. We have a created a series of prototype protein based sensors to allow variation and changes in temperature to be monitored within living cells. modify the protein to optimise the temperature profile for different cell types. express the protein in a variety of prokaryote and eukaryote cells and organisms. use signal peptides to target the sensor to specific cellular organelles. We have a built a novel live cell imaging system that allows protein dynamics to be followed at 100 atmospheres, a pressure which specifically and reversibly disrupts protein dynamics. This project will use this system to follow actin and microtubule dynamics in a variety of cell types to study how perturbations of cytoskeleton dynamics affect growth and organisation of cells and development. Tyuleva, S. et al. (2018). A Symbiotic Supramolecular Approach to the Design of Novel Amphiphiles with Antibacterial Properties Against MSRA. Chemical Communications [Online] 55. Available at: http://dx.doi.org/10.1039/C8CC08485H. Dan Mulvihill, D. et al. (2018). Recent insights on Alzheimer’s disease originating from yeast models. International Journal of Molecular Sciences [Online]. Available at: http://dx.doi.org/10.3390/ijms19071947. Johnson, M. and Mulvihill, D. (2018). Dependency Relationships within the Fission Yeast Polarity Network. FEBS Letters [Online]. Available at: https://doi.org/10.1002/1873-3468.13180. regulation and maintenance of polarised cell growth within fission yeast. Brooker, H. et al. (2018). A novel live cell imaging system reveals a reversible hydrostatic pressure impact on cell cycle progression. Journal of Cell Science [Online] 131:jcs212167. Available at: http://dx.doi.org/10.1242/jcs.212167. transiently impact molecular dynamics to visualise, dissect and study signalling pathways and cellular processes in living cells. Mulvihill, D. (2017). Live Cell Imaging in Fission Yeast. Cold Spring Harbor Protocols [Online] 2017. Available at: http://dx.doi.org/10.1101/pdb.top090621. Johnson, C. et al. (2017). Temperature sensitive point mutations in fission yeast tropomyosin have long range effects on the stability and function of the actin- tropomyosin copolymer. Biochemical and Biophysical Research Communications [Online]. Available at: https://doi.org/10.1016/j.bbrc.2017.10.109. Eastwood, T. et al. (2017). An enhanced recombinant amino-terminal acetylation system and novel in vivo high-throughput screen for molecules affection alpha-synuclein oligomerisation. FEBS letters [Online] 591:833-841. Available at: http://dx.doi.org/10.1002/1873-3468.12597. new molecules for use in research and clinical applications. Manstein, D. and Mulvihill, D. (2016). Tropomyosin-mediated Regulation of Cytoplasmic Myosins. Traffic [Online] 17:872-877. Available at: http://www.dx.doi.org/10.1111/tra.12399. The ability of the actin-based cytoskeleton to rapidly reorganize is critical for maintaining cell organization and viability. The plethora of activities in which actin polymers participate require different biophysical properties, which can vary significantly between the different events that often occur simultaneously at separate cellular locations. In order to modify the biophysical properties of an actin polymer for a particular function, the cell contains diverse actin-binding proteins that modulate the growth, regulation and molecular interactions of actin-based structures according to functional requirements. In metazoan and yeast cells, tropomyosin is a key regulator of actin-based structures. Cells have the capacity to produce multiple tropomyosin isoforms, each capable of specifically associating as copolymers with actin at distinct cellular locations to fine-tune the functional properties of discrete actin structures. Here, we present a unifying theory in which tropomyosin isoforms critically define the surface landscape of copolymers with cytoplasmic ?- or ?-actin. Decoration of filamentous actin with different tropomyosin isoforms determines the identity and modulates the activity of the interacting myosin motor proteins. Conversely, changes in the nucleotide state of actin and posttranslational modifications affect the composition, morphology, subcellular localization and allosteric coupling of the associated actin-based superstructures. Baker, K. et al. (2016). TOR complex 2 localises to the cytokinetic actomyosin ring and controls the fidelity of cytokinesis. Journal of Cell Science [Online] 129. Available at: http://www.dx.doi.org/10.1242/jcs.190124. The timing of cell division is controlled by the coupled regulation of growth and division. The TOR signalling network synchronises these processes with the environmental setting. Here we describe a novel interaction of the fission yeast TOR Complex 2 (TORC2) with the Cytokinetic Actomyosin Ring (CAR), and a novel role for TORC2 in regulating the timing and fidelity of cytokinesis. Disruption of TORC2 or its localisation results in defects in CAR morphology and constriction. We provide evidence that a myosin II, Myp2, and myosin V, Myo51, play roles in recruiting TORC2 to the CAR. We show that Myp2 and TORC2 are co-dependent upon each other for their normal localisation to the cytokinetic machinery. We go on to show that TORC2 dependent phosphorylation of Acp1 (Actin Capping Protein, a known regulator of cytokinesis) controls CAR stability and the modulation of CAPZA/BAcp1/2 heterodimer formation and is essential for survival upon stress. Thus TORC2 localisation to the CAR and TORC2 dependent CAPZAAcp1 phosphorylation contributes to timely control and fidelity of cytokinesis and cell division. Brooker, H., Geeves, M. and Mulvihill, D. (2016). Analysis of biophysical and functional consequences of Tropomyosin - fluorescent protein fusions. FEBS letters [Online]:3111-3121. Available at: http://onlinelibrary.wiley.com/doi/10.1002/1873-3468.12346/full. Gunning, P. et al. (2015). Tropomyosin - master regulator of actin filament function in the cytoskeleton. Journal of Cell Science [Online] 128:2965-2974. Available at: http://doi.org/10.1242/jcs.172502. Tropomyosin (Tpm) isoforms are the master regulators of the functions of individual actin filaments in fungi and metazoans. Tpms are coiled-coil parallel dimers that form a head-to-tail polymer along the length of actin filaments. Yeast only has two Tpm isoforms, whereas mammals have over 40. Each cytoskeletal actin filament contains a homopolymer of Tpm homodimers, resulting in a filament of uniform Tpm composition along its length. Evidence for this ‘master regulator’ role is based on four core sets of observation. First, spatially and functionally distinct actin filaments contain different Tpm isoforms, and recent data suggest that members of the formin family of actin filament nucleators can specify which Tpm isoform is added to the growing actin filament. Second, Tpms regulate whole-organism physiology in terms of morphogenesis, cell proliferation, vesicle trafficking, biomechanics, glucose metabolism and organ size in an isoform-specific manner. Third, Tpms achieve these functional outputs by regulating the interaction of actin filaments with myosin motors and actin-binding proteins in an isoform-specific manner. Last, the assembly of complex structures, such as stress fibers and podosomes involves the collaboration of multiple types of actin filament specified by their Tpm composition. This allows the cell to specify actin filament function in time and space by simply specifying their Tpm isoform composition. Johnson, M., East, D. and Mulvihill, D. (2014). Formins Determine the Functional Properties of Actin Filaments in Yeast. Current Biology [Online] 24:1525-1530. Available at: http://dx.doi.org/10.1016/j.cub.2014.05.034. The actin cytoskeleton executes a broad range of essential functions within a living cell. The dynamic nature of the actin polymer is modulated to facilitate specific cellular processes at discrete locations by actin-binding proteins (ABPs), including the formins and tropomyosins (Tms). Formins nucleate actin polymers, while Tms are conserved dimeric proteins that form polymers along the length of actin filaments. Cells possess different Tm isoforms, each capable of differentially regulating the dynamic and func- tional properties of the actin polymer. However, the mecha- nism by which a particular Tm localizes to a specific actin polymer is unknown. Here we show that specific formin family members dictate which Tm isoform will associate with a particular actin filament to modulate its dynamic and functional properties at specific cellular locations. Exchanging the localization of the fission yeast formins For3 and Cdc12 results in an exchange in localizations of Tm forms on actin polymers. This nucleator-driven switch in filament composition is reflected in a switch in actin dynamics, together with a corresponding change in the filament’s ability to regulate ABPs and myosin motor activity. These data establish a role for formins in dictating which specific Tm variant will associate with a growing actin filament and therefore specify the functional capacity of the actin filaments that they create. East, D. and Mulvihill, D. (2011). Regulation and function of the fission yeast myosins. Journal of Cell Science [Online] 124:1383-1390. Available at: http://dx.doi.org/10.1242/jcs.078527. It is now quarter of a century since the actin cytoskeleton was first described in the fission yeast, Schizosaccharomyces pombe. Since then, a substantial body of research has been undertaken on this tractable model organism, extending our knowledge of the organisation and function of the actomyosin cytoskeleton in fission yeast and eukaryotes in general. Yeast represents one of the simplest eukaryotic model systems that has been characterised to date, and its genome encodes genes for homologues of the majority of actin regulators and actin-binding proteins found in metazoan cells. The ease with which diverse methodologies can be used, together with the small number of myosins, makes fission yeast an attractive model system for actomyosin research and provides the opportunity to fully understand the biochemical and functional characteristics of all myosins within a single cell type. In this Commentary, we examine the differences between the five S. pombe myosins, and focus on how these reflect the diversity of their functions. We go on to examine the role that the actin cytoskeleton plays in regulating the myosin motor activity and function, and finally explore how research in this simple unicellular organism is providing insights into the substantial impacts these motors can have on development and viability in multicellular higher-order eukaryotes. East, D. et al. (2011). Altering the stability of the Cdc8 overlap region modulates the ability of this tropomyosin to bind cooperatively to actin and regulate myosin. Biochemical Journal [Online] 438:265-273. Available at: http://dx.doi.org/10.1042/BJ20101316. Tropomyosin (Tm) is an evolutionarily conserved ?-helical coiled-coil protein, dimers of which form end-to-end polymers capable of associating with and stabilising actin-filaments and regulate myosin function. The fission yeast, Schizosaccharomyces pombe, possesses a single essential Tm, Cdc8, which can be acetylated on its amino terminal methionine to increase its affinity for actin and enhance its ability to regulate myosin function. We have designed and generated a number of novel Cdc8 mutant proteins with amino terminal substitutions to explore how stability of the Cdc8-polymer overlap region affects the regulatory function of this Tm. By correlating the stability of each protein, its propensity to form stable polymers, its ability to associate with actin and to regulate myosin, we have shown the stability of the amino terminal of the Cdc8 ?-helix is crucial for Tm function. In addition we have identified a novel Cdc8 mutant with increased amino-terminal stability, dimers of which are capable of forming Tm-polymers significantly longer than the wild-type protein. This protein had a reduced affinity for actin with respect to wild type, and was unable to regulate actomyosin interactions. The data presented here are consistent with acetylation providing a mechanism for modulating the formation and stability of Cdc8 polymers within the fission yeast cell. The data also provide evidence for a mechanism in which Tm dimers form end-to-end polymers on the actin-filament, consistent with a cooperative model for Tm binding to actin. East, D. et al. (2011). QD-Antibody conjugates via carbodiimide-mediated coupling; a detailed study of the variables involved and a possible new mechanism for the coupling reaction under basic aqueous conditions. Langmuir [Online] 27:13888-13896. Available at: http://dx.doi.org/10.1021/la203273p. Johnson, M. et al. (2010). Targeted amino-terminal acetylation of recombinant proteins in E. coli. PLoS ONE [Online] 5:e15801. Available at: http://dx.plos.org/10.1371/journal.pone.0015801. Coulton, A. et al. (2010). The recruitment of acetylated and unacetylated tropomyosin to distinct actin polymers permits the discrete regulation of specific myosins in fission yeast. Journal of Cell Science [Online] 123:3235-3243. Available at: http://dx.doi.org/10.1242/jcs.069971. Doyle, A. et al. (2009). Fission yeast Myo51 is a meiotic spindle pole body component with discrete roles during cell fusion and spore formation. Journal of Cell Science [Online] 122:4330-4340. Available at: http://dx.doi.org/10.1242/jcs.055202. Attanapola, S., Alexander, C. and Mulvihill, D. (2009). Ste20-kinase-dependent TEDS-site phosphorylation modulates the dynamic localisation and endocytic function of the fission yeast class I myosin, Myo1. Journal of Cell Science [Online] 122:3856-3861. Available at: http://dx.doi.org/10.1242/jcs.053959. Martín-García, R. and Mulvihill, D. (2009). Myosin V spatially regulates microtubule dynamics and promotes the ubiquitin-dependent degradation of the fission yeast CLIP-170 homologue, Tip1. Journal of Cell Science [Online] 122:3862-3872. Available at: http://dx.doi.org/10.1242/jcs.054460. Coulton, A. et al. (2007). Acetylation regulates tropomyosin function in the fission yeast Schizosaccharomyces pombe. Journal of Cell Science [Online] 120:1635-1645. Available at: http://dx.doi.org/10.1242/jcs.001115. Grallert, A. et al. (2007). In vivo movement of the type V myosin Myo52 requires dimerisation but is independent of the neck domain. Journal of Cell Science [Online] 120:4093-4098. Available at: http://www.ncbi.nlm.nih.gov/entrez/query.fcgi?cmd=Retrieve&db=PubMed&dopt=Citation&list_uids=18003699. Mulvihill, D., Edwards, S. and Hyams, J. (2006). A critical role for the type V myosin, Myo52, in septum deposition and cell fission during cytokinesis in Schizosaccharomyces pombe. Cell Motility and the Cytoskeleton [Online] 63:149-161. Available at: http://dx.doi.org/10.1002/cm.20113. Mulvihill, D. and Hyams, J. (2003). Myosin-cell wall interactions during cytokinesis in fission yeast: a framework for understanding plant cytokinesis? Cell Biology International [Online] 27:239-40. Available at: http://dx.doi.org/10.1016/S1065-6995(02)00311-6. Mulvihill, D. and Hyams, J. (2003). Role of the two type II myosins, Myo2 and Myp2, in cytokinetic actomyosin ring formation and function in fission yeast. Cell Motility and the Cytoskeleton [Online] 54:208-216. Available at: http://dx.doi.org/10.1002/cm.10093. Mulvihill, D. and Hyams, J. (2002). Cytokinetic actomyosin ring formation and septation in fission yeast are dependent on the full recruitment of the polo-like kinase Plo1 to the spindle pole body and a functional spindle assembly checkpoint. Journal of Cell Science [Online] 115:3575-3586. Available at: http://jcs.biologists.org/cgi/content/abstract/115/18/3575. Win, T., Mulvihill, D. and Hyams, J. (2002). Take five: a myosin class act in fission yeast. Cell Motility and the Cytoskeleton [Online] 51:53-6. Available at: http://dx.doi.org/10.1002/cm.10021. Tanaka, K. et al. (2001). The role of Plo1 kinase in mitotic commitment and septation in Schizosaccharomyces pombe. Embo Journal [Online] 20:1259-70. Available at: http://dx.doi.org/10.1093/emboj/20.6.1259. Mulvihill, D., Barretto, C. and Hyams, J. (2001). Localization of fission yeast type II myosin, Myo2, to the cytokinetic actin ring is regulated by phosphorylation of a C-terminal coiled-coil domain and requires a functional septation initiation network. Molecular Biology of the Cell [Online] 12:4044-4053. Available at: http://www.ncbi.nlm.nih.gov/pmc/articles/PMC60774/pdf/mk1201004044.pdf/?tool=pmcentrez. Mulvihill, D. et al. (2001). Myosin V-mediated vacuole distribution and fusion in fission yeast. Current Biology [Online] 11:1124-1127. Available at: http://dx.doi.org/10.1016/S0960-9822(01)00322-0. The class V myosins are actin-based motors that move a variety of cellular cargoes . In budding yeast, their activity includes the relocation of a portion of the vacuole from the mother cell to the bud [2, 3]. Fission yeast cells contain numerous (approximately 80) small vacuoles. When S. pombe cells are placed in water, vacuoles fuse in response to osmotic stress . Fission yeast possess two type V myosin genes, myo51(+) and myo52(+) . In a myo51Delta strain, vacuoles were distributed throughout the cell, and mean vacuole diameter was identical to that seen in wild-type cells. When myo51Delta and wild-type cells were placed in water, vacuoles enlarged by fusion. In myo52Delta cells, by contrast, vacuoles were smaller and mostly clustered around the nucleus, and fusion in water was largely inhibited. When cells containing GFP-Myo52 were placed in water, Myo52 was seen to redistribute from the cell poles to the surface of the fusing vacuoles. Vacuole fusion in fission yeast was inhibited by the microtubule drug thiabendazole (TBZ) but not by the actin inhibitor latrunculin B. This is the first demonstration of the involvement of a type V myosin, possibly via an interaction with microtubules, in homotypic membrane fusion. Win, T. et al. (2001). Two type V myosins with non-overlapping functions in the fission yeast Schizosaccharomyces pombe: Myo52 is concerned with growth polarity and cytokinesis, Myo51 is a component of the cytokinetic actin ring. Journal of Cell Science [Online] 114:69-79. Available at: http://jcs.biologists.org.chain.kent.ac.uk/cgi/reprint/114/1/69. The fission yeast genome project has identified five myosin genes: one type I myosin, myo1(+), two type II myosins, myo2(+) and myp2(+), and two type V myosins, myo51(+) and myo52(+). Cells deleted for myo51(+) show normal morphology and growth rates whereas deletion of myo52(+) results in a partial loss of cell polarity, slow growth and cytokinetic defects. Combining both deletions in a single strain is phenotypically non-additive, myo52(delta) being epistatic to myo51(delta). Overproduction of Myo51 gives rise to elongated cells which fail to form functional septa whereas overproduction of Myo52 results in branched cells with aberrant septa that fail to cleave. Myo52 localises to the poles of growing cells but during cell division it relocalises to the cell equator as a bar that is bisected by the cytokinetic septum. Myo51 shows no obvious localisation during interphase but at cytokinesis it is associated with the contractile cytokinetic actin ring (CAR). Both myosins are dependent upon an intact actin cytoskeleton for localisation. Myo52 partially colocalises with the (alpha)-glucan synthase Mok1 at the cell tips and to a lesser extent at the septum. Mok1 is delocalised and upregulated in myo52(delta) and myo52(delta) cell walls are resistant to digestion by the cell wall degrading enzyme zymolyase. Thus myo52(+) appears to be involved in the local delivery or positioning of vesicles containing cell wall precursors at the cell tips and has a role in the maturation or cleavage of the septum. Myo51 has a non-essential role in cytokinesis as a component of the cytokinetic actin ring. Mulvihill, D. and Hyams, J. (2001). Shedding a little light on light chains. Nature Cell Biology [Online] 3:E10-2. Available at: http://dx.doi.org/10.1038/35050634. Myosin II regulatory light chains have an important role in the organization and function of the contractile machinery at cytokinesis. Two recent reports provide new insights into these important proteins. Mulvihill, D. et al. (2000). Cytokinesis in fission yeast: a myosin pas de deux. Microscopy Research and Technique [Online] 49:152-60. Available at: http://dx.doi.org/10.1002/(SICI)1097-0029(20000415)49:2<152::AID-JEMT7>3.0.CO;2-7. Cytokinesis in the fission yeast, Schizosaccharomyces pombe consists of two distinct but overlapping events: the assembly and constriction of a cytokinetic actomyosin ring (CAR) and the formation of a cross wall or septum. These two processes must be spatially and temporally coordinated both with each other and with other cell cycle events, most notably spindle formation and anaphase chromosome segregation. In fission yeast, the CAR contains two unusual type II myosins, Myo2, encoded by the gene myo2(+), and Myp2, encoded by myp2(+). The relationship of these two proteins to each other and their relative contribution to CAR assembly and contraction is largely unknown. Here we review what is known about the role of each myosin in cytokinesis and present some new information concerning their regulation and possible physical interaction. Mulvihill, D. et al. (1999). Plo1 kinase recruitment to the spindle pole body and its role in cell division in Schizosaccharomyces pombe. Molecular Biology of the Cell [Online] 10:2771-85. Available at: http://dx.doi.org/10.1091/mbc.10.8.2771. Polo kinases execute multiple roles during cell division. The fission yeast polo related kinase Plo1 is required to assemble the mitotic spindle, the prophase actin ring that predicts the site for cytokinesis and for septation after the completion of mitosis (Ohkura et al., 1995; Bahler et al., 1998). We show that Plo1 associates with the mitotic but not interphase spindle pole body (SPB). SPB association of Plo1 is the earliest fission yeast mitotic event recorded to date. SPB association is strong from mitotic commitment to early anaphase B, after which the Plo1 signal becomes very weak and finally disappears upon spindle breakdown. SPB association of Plo1 requires mitosis-promoting factor (MPF) activity, whereas its disassociation requires the activity of the anaphase-promoting complex. The stf1.1 mutation bypasses the usual requirement for the MPF activator Cdc25 (Hudson et al., 1990). Significantly, Plo1 associates inappropriately with the interphase SPB of stf1.1 cells. These data are consistent with the emerging theme from many systems that polo kinases participate in the regulation of MPF to determine the timing of commitment to mitosis and may indicate that pole association is a key aspect of Plo1 function. Plo1 does not associate with the SPB when septation is inappropriately driven by deregulation of the Spg1 pathway and remains SPB associated if septation occurs in the presence of a spindle. Thus, neither Plo1 recruitment to nor its departure from the SPB are required for septation; however, overexpression of plo1+ activates the Spg1 pathway and causes transient Cdc7 recruitment to the SPB and multiple rounds of septation. O'Brien, J. et al. (2017). Automated Cell Segmentation of Fission Yeast Phase Images - Segmenting Cells from Light Microscopy Images. in: Silveira, M. et al. eds. Proceedings of the 10th International Joint Conference on Biomedical Engineering Systems and Technologies. Scitepress, pp. 92-99. Available at: http://dx.doi.org/10.5220/0006149100920099. Robust image analysis is an important aspect of all cell biology studies. The geometrics of cells are critical for developing an understanding of biological processes. Time constraints placed on researchers lead to a narrower focus on what data are collected and recorded from an experiment, resulting in a loss of data. Currently, preprocessing of microscope images is followed by the utilisation and parameterisation of inbuilt functions of various softwares to obtain information. Using the fission yeast, Schizosaccharomyes pombe, we propose a novel, fully automated, segmentation software for cells with a significantly lower rate of segmentation errors than PombeX with the same dataset. Mulvihill, D. (2017). Live Cell Imaging in Fission Yeast. in: Hagan, I. M. et al. eds. Fission Yeast: A Laboratory Manual. Long Island, New York, USA: Cold Spring Harbour Laboratory Press. Available at: http://cshprotocols.cshlp.org/content/early/2017/07/21/pdb.top090621.abstract?sid=45bc9a5c-f4f5-4989-a1e9-d64bcf4a8c56. Mulvihill, D. (2014). Using Fluorescence to Study Actomyosin in Yeasts. in: Toseland, C. P. and Fili, N. eds. Fluorescent methods for molecular motors. Springer, pp. 277-298. Available at: http://dx.doi.org/10.1007/978-3-0348-0856-9_13. Johnson, M., Geeves, M. and Mulvihill, D. (2013). Production of Amino-Terminally Acetylated Recombinant Proteins in E. coli. in: Hake, S. and Janzen, C. eds. Protein Acetylation. Humana Press, pp. 193-200. Available at: http://dx.doi.org/10.1007/978-1-62703-305-3_15. Baker, K. et al. (2018). TORC2 dependent phosphorylation 1 modulates calcium regulation of fission yeast myosin. EMBO Journal. myosin dynamics to control polarised cell growth in response to mitotic and meiotic cell-cycle progression and the cellular environment.